Offering the total solution to pest management is what drives your business. Therefore, offering a complete list of services and programs is necessary to succeed. Yet, communicating all you have to offer to potential customers takes time and can be very costly. The Collabetive is central to all your brochure needs. Choose from a variety of topics from home prevention services to specific services for hospitals, restaurants, food service, and more. 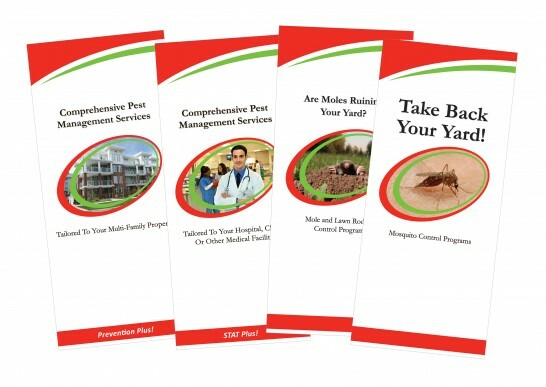 Brochures are also targeted to specific pests such as mosquitoes, moles, bed bugs and more. Don’t see what you’re looking for? Just let us know and we will create it for you. If you see a brochure or copy you would like to use, simply give us permission to share your brochure with others. Download permission form here and fax or email back with a scan of your brochure.